Taste Victoria’s 2012 Festival of Food and Wine has landed a big Okanagan fish for its trade and consumer wine tastings on July 19. Torsten Allander, the co-proprietor of Foxtrot Vineyards on the Naramata Bench, will be at the Crystal Garden venue to pour three of his highly-regarded wines. Because Foxtrot is a small producer, the principals rarely show up at such public tastings where consumers can sample the wines. In fact, the winery does not even have a public tasting room (although one can ask for an appointment). This is a remarkable opportunity for those attending this event in Victoria to taste wines that have earned a justifiable cult following. Torsten plans to pour three wines: Foxtrot Coolshanagh Vineyard Chardonnay 2010; Foxtrot Pinot Noir 2009; and Foxtrot Erickson Vineyard Pinot Noir 2008. All are available to purchase, by the case, from the winery’s web site. I have tasted both of the reds. When you read my notes, you will know why you need to buy a ticket for Taste Victoria – and not just for Foxtrot’s three wines. There will be at least 100 other British Columbia wines in the tasting, along with food from top Victoria restaurants. Foxtrot opened in 2007, but its Pinot Noir already had a following. Beginning with the 2004 vintage, several Foxtrot Pinot Noirs were made at nearby Lake Breeze Vineyards. That gave Torsten the opportunity to decide whether his postage-stamp vineyard could grow world-class Pinot Noir, and whether he could sell those wines. By the third vintage, the answer was “yes” on both counts and Foxtrot built its own winery. This is now a family operation. Torsten and his wife, Kicki, have now been joined by their winemaker son, Gustav. As well, Gustav and his wife, Nadine, a winemaker at Poplar Grove Estate Winery, also have their own label, Wapiti Cellars, and have released a Viognier under that label. Here are my notes on the Pinot Noirs. Foxtrot Erickson Vineyard Pinot Noir 2008 ($45.95). The grapes for this wine come from a vineyard not far north of the Foxtrot vineyard. Perhaps because of differing viticultural practices, the wine is a little lighter than the estate Pinot Noir from Foxtrot, but still quite elegant. It has appealing aromas of strawberries and cherries which carry through to the flavours, along with a hint of toastiness, spice and mocha. The texture is silky. 90. Foxtrot Pinot Noir 2009 ($54.95). The wine announces itself with dramatic aromas of cherry, spice, mocha and French oak. The wine is rich and fleshy on the palate, delivering flavours of cherry, strawberry and spice with a sultry elegance. If ever there is a wine to elope with, this is it. 95. This spring, Tim and Caroline Cottrill, the owners of Robin Ridge Estate Winery near Keremeos, began planting their second vineyard in the Similkameen Valley. It is an expansion that will support more production of their best-selling Gamay as well as enabling Tim to add a Meritage blend to the portfolio. Even more significantly, the location of the new vineyard will allow them to move their wine shop to a higher profile site than it currently occupies. Robin Ridge opened its charming wine shop in 2008 on a 10-acre vineyard on Middle Bench Road, just a short drive from Highway 3A, the highway that takes the left fork from Keremeos to Penticton. Tim’s new seven-acre vineyard – formerly a derelict apricot orchard – has good frontage on Highway 3. His long-term plan is to move the Robin Ridge tasting room to this more visible location than Middle Bench Road. So far, he has only planted two acres on the new acreage, choosing Cabernet Sauvignon, Cabernet Franc and Petit Verdot. Robin Ridge already produces Merlot from its original vineyard but Tim would like to add a Meritage. “Merlot is a tough varietal to market on its own,” he has found. He intends to plant another two acres of Gamay so that he can increase the production of that varietal. The winery now makes less than 200 cases of Gamay each vintage. The wine, since it is one of better Gamays in the Okanagan and Similkameen, sells out quickly. Tim is also thinking of planting more Gewürztraminer, along with another white variety – still undecided – that he can blend with Chardonnay. Robin Ridge does its best to attract customers to its current location with entertaining events. On July 7, the winery is sponsoring an archery competition. On July 14, it is joining with seven other Similkameen wineries to host a barbecue king competition at the Keremeos Grist Mill. Here are notes on the wines currently available in the Robin Ridge wine shop. Robin Ridge Gewürztraminer 2011 ($18.90). The wine is delicately balanced to finish almost dry and food friendly. It has appealing aromas of rose petals and citrus fruits with spicy flavours of grapefruit and grapefruit rind. 88. Robin Ridge Chardonnay 2009 ($18.90). Here is a subtly-oaked Chardonnay where the oak does not bury the appealing flavours and aromas of tangerine, peach and apricot. There is a buttery richness on the lingering finish. 90. Robin Ridge Flamingo 2011 ($17.90). Tim’s son, Charles, who is 15, got involved in making this off-dry rosé with Sovereign Coronation grapes, a table grape variety grown here. Only 26 cases were made. While the wine has the slightly grapey taste of the varietal, it is a refreshing apéritif with hints of strawberry, rhubarb and citrus. 87. Robin Ridge Robin’s Return 2009 ($21.90). A blend of Rougeon and Pinot Noir, this is a dark-hued wine with smoky blackberry aromas and with intense cherry flavours. 88. Robin Ridge Pinot Noir 2010 ($21.90). The wine, which is developing the classic Pinot texture, has spicy aromas and flavours of cherry and plum. 88. Robin Ridge Gamay 2010 ($22.90). The intense black pepper and raspberry aromas follow through on the palate, along with black cherry flavours. The texture is meaty and generous. 90. Robin Ridge Merlot 2008 ($21.90). The wine begins with aromas of black currants and plum. Firmly structured, it has flavours of currants, plum and spice. 88. Robin Ridge Reserve Merlot 2009 ($28.90). Tim took advantage of the superb 2009 vintage to make a bold, ripe and concentrated Merlot, with aromas and flavours of vanilla, currants, figs, plum and chocolate. This wine scored double gold at the All Canadian Wine Championships. 90. With 220 wineries in British Columbia, and counting, a new label needs something to differentiate itself. Gavin and Shana Miller should have a winning formula at Upper Bench Estate Winery. He makes solid wines while Shana makes seven different cheeses. And the winery’s summer market will also sell fresh fruit from Naramata orchards. One-stop shopping for food and wine tourists. Upper Bench is the new name for a Penticton winery that opened originally in 2001 as Benchland Winery and then became Stonehill when it was acquired by the Holman Lang group of wineries. When Holman Lang went under in early 2011, the Millers teamed up with pulp and paper executive Wayne Nystrom to make a successful bid for the winery at the bankruptcy court. The rest of 2011 was given over to renovating the winery building, primarily to add a cheese-making room for Shana, who had begun her cheese-making career several years earlier at the Poplar Grove Winery. The cheese there was (and is) legendary. It is now evident in the Upper Bench tasting room that Shana, who is making between 60 and 80 kilograms of cheese a week, has brought the same skill to this winery. The seven cow milk cheeses all are priced at $5.50 for 100 grams. Gavin, who was born in Britain in 1965 and formerly worked there as a sales manager, came to the Okanagan in 1995 on vacation. He met Shana and that led to his decision to immigrate and then to get into the wine industry. He was a winemaker at Poplar Grove from 2004 to 2008 and then spent two more vintages at Painted Rock. He had a hand in making notable award-winning wines at both of those producers. In addition to renovating the winery last year, Gavin also whipped the Upper Bench vineyard into shape. The result is evident from the 2011 wines released to date by Upper Bench, as well as from barrel samples of upcoming reds that I was able to taste recently. I won’t attempt to add tasting notes on the cheeses, not being technically equipped as a cheese maker. But I did taste the cheeses and they are very good. Here are notes on the wines. Upper Bench Pinot Gris 2011 ($19.90 for 284 cases). The wine is crisply fresh, with aromas of citrus and apples and with flavours of pears and stone fruit. The finish is dry – the winery’s own notes describe it as steely but that descriptor is overly austere. 88. Upper Bench Pinot Blanc 2011 ($18.90 for 134 cases). Again, the wine is crisply fresh and dry, with aromas of apples and flavours of pineapple and stone fruit. 88. Upper Bench Riesling 2011 ($21.90 for 112 cases). This is a juicy, savoury Riesling with the beginning of the classic hint of petrol on the nose. On the palate, it delivers a tasty bowl of tropical fruit flavours. The finish is long but also refreshing. 90. 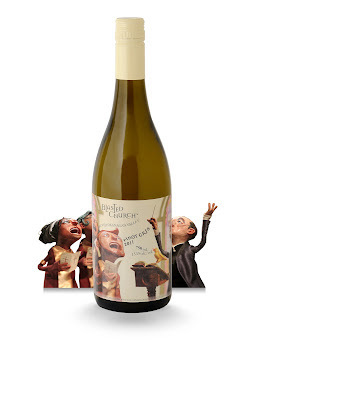 Upper Bench Chardonnay 2011 ($24.90 for 324 cases). Half of this was fermented in stainless steel and half was fermented and aged in barrel for five months. The oak lends an appealingly toasty note to the aroma and flavour, along with citrus aromas. The flavours include citrus, mango and tangerine and the texture is rich and satisfying. 89. Upper Bench Rosé 2011 ($18.90 for 174 cases). Made with Zweigelt grapes, this is a good dry rosé with aromas and flavours of strawberries, rhubarb and sour cherry. 88. Upper Bench Pinot Noir 2010 ($26.90 for 238 cases). This is a wine that Gavin inherited but finished well, giving it 18 months in oak – 30% of it new barrels. While the texture is still firm, the wine displays aromas and flavours of cherries and red berries. 88. Upper Bench Pinot Noir 2011 (barrel sample). This is already full-bodied and generous on the palate, with aromas and flavours of black cherries. This will mature to an elegant Pinot Noir. Upper Bench Merlot 2010 ($28.90 for 84 cases). This also aged 18 months in oak, a quarter of which was new French barrels. It is a bold, generous red, with vanilla and black currant aromas and flavours, along with flavours of black cherry and figs. 90. Upper Bench Merlot 2011 (barrel sample). This youthful red shows promise, with a muscular structure and spice currant aromas and flavours. Upper Bench Redemption (barrel sample). This is a delicious blend built around the vineyard’s mature Zweigelt vines. There are flavours of plum and blueberry, with hints of pepper and spice. 90. Guess what Okanagan winery has added a bell tower with a real bell? It is Wild Goose Vineyards and Winery and it is only the second winery with a bell above its tasting room. The first was Mission Hill Family Estate Winery, with four French-made bells that chime the hours from a slender tower above the winery. Wild Goose is also a family winery, run by Adolf Kruger and his sons Hagen and Roland, with considerable support and involvement of the three Kruger spouses. The Krugers are humble and so is their bell. The stubby bell tower caps the new tasting room and wine shop that is about to open here. While the tower was always part of the design, there was no intention of putting a bell in it until they were given one by a friend. The bell apparently once was on a German merchant ship called the Simon von Utrecht. Roland advised me to google the name but that did not turn up much detail on the ship. Possibly, it was a merchant ship that was subsequently owned and registered in Greece. How and why the friend got the bell and passed it on is a story for another day. And don’t expect the bell to chime the hours. That was never in the cards at Wild Goose. In any event, people visit this Okanagan Falls winery for the wine and for the tasting room congeniality. The new wine shop, which is spacious and has dramatic view over the Stoney Slope Vineyard, will accommodate far more people that the tasting room that has served Wild Goose for 15 years. It is expected to open to the public by the end of June. The new wine shop is part of an overall expansion at Wild Goose, now producing about 11,000 cases of wine a year. The underground cellar has been extended. There are new offices for the staff, a VIP tasting room, a commercial kitchen to support functions and an outdoor deck, allowing the functions to spill out of the tasting room. This expansion has been necessary because of the success that Wild Goose has enjoyed. The winery opened in 1990 at a time when there was so much pessimism about Okanagan winery that a government official said they would be lucky to sell 1,000 bottles a year! But within nine years, the winery was selling enough wine to support the purchase of the Oliver vineyard now called Mystic River. Wild Goose planted its third vineyard, also at Oliver, four years ago. The winery’s specialty for many years was whites made with Gewürztraminer, Riesling and Pinot Gris. The portfolio has gradually expanded, adding several more whites and reds. Over the past decade, few small wineries have won as many awards as Wild Goose. The winery has been a multiple winner of the Lieutenant Governor’s Award of Excellence for most of its whites - even for Autumn Gold, its easy-drinking summer white. When I dropped in recently to look at the new wine shop, I also tasted many of the current releases. Here are my notes. Wild Goose Chardonnay 2011 ($18.99). This is the first Chardonnay that Hagen, the family’s winemaker, has made in a dozen years and it has been such a great success that Wild Goose has already contracted Chardonnay grapes for a 2012 wine. This 2011 is just bursting with fruit – pear, apples, citrus and whatever else you can find in a bowl of tropical fruit. It was the acidity to give it a very refreshing lift on the palate and a bright, clean finish. 90. Wild Goose Riesling 2011 ($18.99). This is a mouth-watering Riesling, with flavours of lime and other citrus fruits, with mineral hints in the texture and with bright, tangy acidity. The acidity is so brilliantly balanced with 19 grams of residual sugar that the wine tastes much less sweet than that. The sugar lifts the fruity flavours and aromas. 90. Wild Goose Mystic River Pinot Blanc 2011 ($18.99). The previous vintage won a Lieutenant Governor’s Award and this wine is surely its equal. It has lovely fruit aromas and juicy flavours of apples, with a dry finish. 91. Wild Goose Gewürztraminer 2011 ($18.99). The intense aromas and flavours of this wine reflect the 28-year-old vines from which the grapes came. The wine begins with aromas of spice and rose petals. On the palate, there are flavours of spicy grapefruit and grapefruit rind. The wine has a crisp dry finish. 91. Wild Goose Merlot 2009 ($19.99). In recent years, the winery has retained some consultants to help raise its red wines to the same calibre as its whites. The strategy has succeeded. This Merlot is bold, ripe and juicy, with flavours of plum, blackberries, vanilla and chocolate. 91. Wild Goose Cabernet Sauvignon 2009 Kerry Hill Vineyard ($24.99). This is an elegant and ripe red, with notes of vanilla, blackberry and black currant and with a mouth-filling texture. 90. The wines from the Okanagan’s 2011 vintage almost invariably have lower alcohols that any vintage since 1999. The difference between that year and 2011 is the wines from the latter vintage have more flavour, if only because grape growing and winemaking is so much more accomplished. The 2011 vintage had a late start and was cool in spring and early summer. Beginning in August, however, warm growing temperatures set in and continued through to mid-October, including unusually warm nights in September. The vines responded. The grapes ripened well, developing flavour during the long autumn without piling on the sugars. Many wines have less than 13% alcohol. The two new white releases from Young & Wyse Collection in Osoyoos are notable examples of the vintage: neither has alcohol higher than 11.5%. Young & Wyse was opened in 2009 by Michelle Young and Steve Wyse. He is a member of the family that owns Burrowing Owl Vineyards. He started his career in wine there, working with the crew that built the winery and then moving into the cellar. There, he mentored with Bill Dyer, the winery’s first winemaker, and then succeeded him for several vintages. Subsequently, Steve and Michelle decided to strike out on their own, developing this boutique winery a short distance from the U.S. border crossing in Osoyoos. The winery made its initial reputation with its red wines. Recently, I took a bottle of the Young & Wyse Syrah 2009 to Russia, intending to open it at dinner one evening on the river cruise ship if I found myself sharing a table with other wine lovers. Ironically, the Australian couple that made up the most congenial foursome on several occasions did not drink. So the wine made it all the way from St. Petersburg to Moscow unopened. In Moscow, we finally got to share it with our son, who is living there. Thanks to the internet, he remains current on British Columbia news. However, there probably are no Okanagan wines anywhere in Moscow, except perhaps at the Canadian embassy - and that would surprise me, given the role of vodka for entertaining. I can report that the Young & Wyse Syrah travelled well. It was full-bodied and delicious, a nice change of pace from the (very adequate) Spanish wines served on the ship. Moscow supermarkets have big wine selections from around the world, except the Okanagan. Entry level wines in those markets seem to start at about $20 a bottle. The Young & Wyse Syrah retailed here for $27.90 and would probably have been closer to $50 in a Moscow store. That is irrelevant speculation: the wine is sold out and would never have been shipped to Moscow anyway. Given my recent satisfactory encounter with Young & Wyse, I was pleased to have a look at the winery’s latest releases, two whites that reflect the 2011 vintage. Young & Wyse Pinot Gris 2011 ($19.90 for 575 cases). The wines has a very moderate alcohol of 11% and the bracing, tangy acidity typical of the vintage. This also gives lightness to the body of the wine. There are aromas of citrus, cantaloupe and herbs, with flavours of lime, grapefruit and green apple. 88. Young & Wyse Amber 2011 ($19.90 for 1,175 cases). The wine is named for Steve and Michelle’s daughter, Amber. The alcohol is 11.3% and the wine again leans toward lightness and delicacy. It is 43% Viognier, 37% Pinot Gris and 20% Gewürztraminer. The wine begins with aromas of herbs and rose petals. On the palate, it has refreshing flavours of lime and nectarine, with racy acidity and with minerality in the texture. 88. This year, the long driveway leading past vines to Gray Monk’s grand winery is bordered with banners reading 50/40/30. These are all important anniversaries in the winery’s history. Founders George and Trudy Heiss are marking their 50th wedding anniversary this year (the actual month was March). Grape growing began on the property 40 years ago and the winery opened 30 years ago. The symmetry is so neat only because zoning and permitting disputes with local authorities delayed the winery by a couple of years. There were not many wineries in the Okanagan in the early 1980s and regulators did not know quite how to deal with applicants. That silly rule is still in place but not always enforced. What follows is the text of the Gray Monk profile is the recent edition of John Schreiner’s Okanagan Wine Tour Guide. One of the Okanagan’s original estate wineries, Gray Monk evolved over 30 years from a small winery with a modest footprint to a grand winery styled like a European château. The wines also evolved. Initially a white wine–house only, Gray Monk’s portfolio now stretches from sparkling wine through reds to dessert wines. The echoes of Europe here are authentic. George Heiss, born in 1939, grew up in Vienna and apprenticed with his father, a world champion hairdresser. His wife, Trudy, was born near Berlin. They met in Edmonton where both had hair salons. Hugo Peter, Trudy’s father, began growing grapes in the Okanagan. George and Trudy followed him there, planting vines in 1972 for the winery they opened a decade later. Today, they count themselves one of rare Canadian families with four generations in wine growing. Son George Jr., their German-trained winemaker, has taken over Hugo Peter’s vineyard. His brothers, Robert and Steven, manage the winery while Robert’s son, Kieran, has qualified as a viticulturist. The Heiss family has had a profound impact on Okanagan wine growing. They were the first to import clones of Pinot Gris, Gewürztraminer and Auxerrois from Alsace. They facilitated the Becker Project, an eight-year trial of German vines that, by its conclusion in 1985, proved the viability of varieties now among the most important in the Okanagan. Among all the wine producers in North American, they alone nurture the hard-to-grow Rotberger grape to make notable rosé. Now making about 80,000 cases a year, Gray Monk built its reputation with unoaked white wines that are expressive, fruit-driven and juicy on the palate. Winemaker Roger Wong joined the winery in 2005, making sparkling wines and reds. And after making reds for a decade with purchased grapes, Gray Monk made a big bet on reds by developing the Paydirt Vineyard, five hectares (12 acres) south of Oliver, planted primarily with Malbec, Merlot and Cabernet Sauvignon. The winery made its first Meritage red blend in 2009. The quality of all Gray Monk wines is consistently high, and that includes its popular Latitude 50 wines, which are refreshing, easy to drink and affordable. The winery’s flagship estate wine is Pinot Gris (the German name for that variety translates as “gray monk”). The winery’s reserve wines are released under the Odyssey label. These are all delicious and well priced for the quality. My favourite Odyssey wines include the Pinot Noir, the Merlot, the Cabernet Sauvignon, the Meritage and the rosé brut. Formerly known as Twisted Tree Vineyards, the winery relaunched itself last year as Moon Curser Vineyards. The bottles now bear some of the spookiest and contentious labels in the Okanagan. Some of their peers thought that Beata and Chris Tolley had taken leave of their senses; but others are coming round to the view that the winery is successfully tapping a new demographic of wine consumers. The concept behind the label is to develop a story line around colourful local history. When gold was being mined in the southern Okanagan in the late 19th Century, those miners who wanted to take their gold to smelters across the border had to pay a royalty to the Canadian government. Naturally, a lot of gold was smuggled over the border at night, except on nights when the moon was bright. The smugglers came to be called moon cursers. On this winery’s labels, the smugglers are variously represented by a fox in silhouette, or a donkey in silhouette. The customs agents are represented by an owl carrying a lantern. The caricatures have the atmosphere of Halloween. Everyone who sees these labels talks about them. And that’s the point – to attention to this winery and its wines. The Tolleys had come to the conclusion that Twisted Tree was too bland and too easily confused with other Okanagan wineries (Tangled Vines, Oliver Twist). Nobody gets Moon Curser mixed up. The labels may be contentious but the wines are not. These are well-grown, well-made wines. As a general comment on the style, the red wines should all be decanted if you intend to consume them now. These are all wines built to age gracefully for five or 10 years. They may also be either unfiltered or lightly filtered; one of the reds (the Tempranillo) was already throwing sediment. I don’t consider that negative, but rather a sign that Chris Tolley takes pains not to strip flavour and substance from his reds. Here are my notes on this year’s releases. Moon Curser Viognier 2011 ($28 for 252 cases). The technical notes on this wine reveal that a remarkable degree of care was taken with these grapes, beginning with pressing them very gently over four hours to avoid extracting bitterness and tannin. Then the juice was fermented at a cool 13 degrees Celsius to preserve the fruit flavours. The wine begins with appealing aromas of Ambrosia apples. On the palate, there are flavours apricot, peach and apple with a hint of ginger. The dry finish lingers. Some of this wine was saved for retasting a second day and the fruit flavours had become even more intense. 91. Moon Curser Afraid of the Dark 2011 ($22 for 407 cases). This is a somewhat unusual take on blending a Rhone white. The wine is 42% Marsanne, 33% Roussanne and 25% Chardonnay Musqué. The result is a refreshing, appealing dry white with apple and citrus aromas and flavours, along with a touch of peach. It is all held together with a clean spine of minerals. 91. Moon Curser Merlot 2010 ($25 for 348 cases). This wine begins with inviting aromas of blackberry, fig and mocha. There are layers of flavour on the palate – black currant, blackberry, black cherry – with notes of chocolate and nutmeg on the finish. 90. Moon Curser Dead of Night 2010 ($38 for 405 cases). This is a blend of 53% Syrah and 47% Tannat. This winery was the first Okanagan producer (and may still be the only one) with a significant planting of Tannat, a variety found mainly in the south of France and in Uruguay. After releasing the varietal on its own for a couple of vintages, the winery in 2009 began blending it with Syrah and that has proved to be an excellent pairing. The wine begins with aromas of cherry and plum, supported with notes on pepper, spice and oak. It delivers complex flavours of black cherry, plum, vanilla with an undertone of spiced deli meats. The vibrant acidity of this red suggests that this wine will evolve very well with several more years of cellaring. 90. Moon Curser Border Vines 2010 ($25 for 1,909 cases). When this winery still called itself Twisted Tree, this wine was known as Six Vines because it incorporates six Bordeaux varietals. This vintage is 35% Cabernet Sauvignon, 33% Merlot, 15% Cabernet Franc, 7% each of Malbec and Carmenère and 3% of Petit Verdot. The result is a red with considerable complexity, beginning with aromas of currants and other red fruit. On the palate, there are flavours of plum and cherry with notes of spice and earth. The tannins have an intriguing rustic character, adding to the body and concentration of the wine. It needs to be cellar four or five years to really express its potential. 88-92. Moon Curser Petit Verdot 2010 ($29 for 124 cases). This wine scored double gold in the All-Canadian Wine Competition this spring. And I managed to spill a glass on the rug, so I can assure you that this is a dark, dark red! At this stage in its life, the texture is still tight. Decant it if you lack the patience to cellar the wine. It has good aromas of red berries (currants, cherries, raspberries) and these carry through to the palate, with notes of minerals and spice on the finish. 90. Moon Curser Malbec 2010 ($29 for 201 cases). Another dark wine, it begins with aromas of plum and chocolate. On the palate, it delivers a complex set of fruit and berry flavours – plum, black cherry, currant – with a hint of spice. The wine has a brooding, muscular texture. 92. Moon Curser Tempranillo 2010 ($29 for 188 cases). This is one of the rare examples of this Spanish red grown in the Okanagan. An interesting wine, it begins with aromas of cherry, red currant, pomegranate and vanilla. On the palate, there are flavours of sour plum, currants and tobacco. The texture is firm, requiring decanting. 90. Moon Curser Syrah 2010 ($25 for 572 cases). A dark wine, it begins with aromas of vanilla, pepper and fig. On the palate, there are meaty flavours of black cherry and fig, with an earthy, peppery finish. This is a satisfying Syrah. 90. Matt Mavety, the winemaker at Blue Mountain Vineyards & Cellars and one of the family that owns it, was in Vancouver recently, autographing bottles in several leading private wine stores. Autographing bottles of Blue Mountain? I’m not kidding. In the last two or three years, there has been a sea change at Blue Mountain. This occasionally reclusive winery sometimes refused to receive visitors without appointments, only making exceptions during wine festivals. They earned an unfortunate reputation as curmudgeons. To be fair, the Mavety family is not that large. They were too busy in growing grapes and making the wine at Blue Mountain to drop everything whenever a car came down the driveway. But since last year, the family has freed up the time to open the wine shop from April to October and to send family members out more often on promotional tours. And after staying out of most industry associations for years, Blue Mountain this year has joined the 12-member Okanagan Falls Wineries Association, to the absolute delight of its peers. This summer, the winery is even doing three luncheons in its vineyard with Joy Road Catering. Everybody benefits when a winery as important as Blue Mountain decides to join the parade, and perhaps even lead it, after years of appearing to stand aside. The winery has never been quite as inaccessible as its reputation suggested. Getting an appointment to visit was as simple as making a phone call to the winery. If the tasting room was not always open, it often reflected the fact most of the wines were sold out anyway. The winery has participated several times in the Vancouver International Wine Festival. During the past decade or two, the winery often has sponsored an annual charitable fund-raising wine tasting that featured its wines paired with dishes from top Vancouver restaurants. It has always been one of the hottest tickets on the Vancouver wine scene. There are, however, at least two reasons why Blue Mountain has been raising its profile lately. One is a generational change. Matt and his sister, Christie, have taken on greater roles at the winery that was launched in 1992 by their parents, Ian and Jane Mavety. The second is the dramatically increased competition in the B.C. wine market. Blue Mountain came out of the gate with the best wines in the Okanagan by a considerable margin. Every good restaurant and every savvy wine consumer wanted this smart new label in the cellar. Blue Mountain didn’t have much competition in 1992. No other winery’s Pinot Noir came anywhere close to Blue Mountain. They did not have to list their wines in liquor stores because their clients bought it directly and by the case. Jane would fax or email customers whenever there was a new release. The wines would be sold out in a week. People got on a waiting list just for the privilege of ordering. That was then. Today, there are a number of producers with wines that can play in the big leagues with Blue Mountain. Other excellent Pinot Noirs are now being made by Quails’ Gate, CedarCreek, Foxtrot, Howling Bluff, La Frenz, Kettle Valley, Meyer; and the list could be longer. I am told that Mission Hill is working on a stunner. That, I think, is why Blue Mountain, now making 15,000 cases a year, has made it far easier to buy its wines, which, by the way, are still reasonably priced. The winery’s Pinot Noir Reserve is $10 to $20 a bottle cheaper than most reserve quality Pinots while matching them for quality. The winery’s regular Pinot Noir at $25 is superb value. Blue Mountain’s wines, so consistent over the years, are better than ever. Even though the Mavety family has been growing grapes for 40 years, they have never stopped improving their viticulture. As well, Matt has continually tweaked his winemaking techniques over the past decade. An agriculture graduate from the University of British Columbia (like his father), Matt began working fulltime at Blue Mountain in 1997 after completing viticulture and enology studies at Lincoln University in New Zealand. In 2001 he began trials with fermenting with natural yeast. Today, as much as half the volume of some varieties is fermented with natural yeast. While that can be a risky technique, it does yield more complex wines in the hands of a skilled winemaker. I have tasted some Blue Mountain wines that have just been released or will be released in a matter of weeks. They all impressed me with their elegance and complexity. Here are my notes. 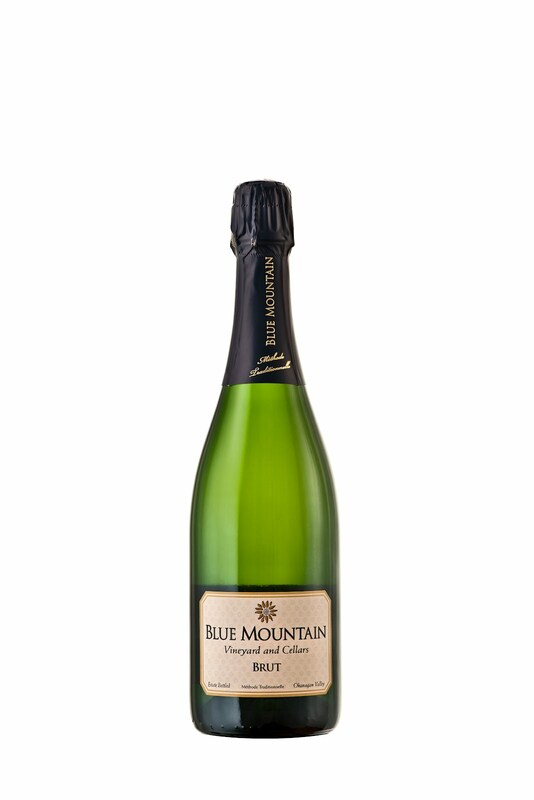 Blue Mountain Gold Label Brut N.V. ($24). This excellent bottle-fermented sparkling wine is a blend of 61% Pinot Noir, 36% Chardonnay and 3% Pinot Gris. The two years that the wine rested on its lees has given this a Champagne-like toasty note on the aroma (along with citrus) and on the palate. The wine, with lively and persistent bubbles, is crisp and dry on the finish. With just 12.5% alcohol, the wine is ever so easy to drink. 92. 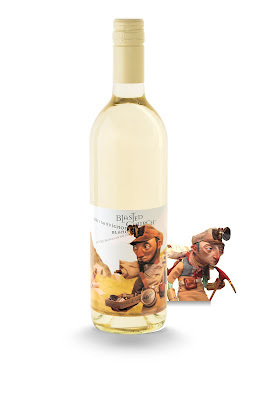 Blue Mountain Sauvignon Blanc 2011 ($18.90). To be released in July, this is the winery’s third vintage of this varietal. The style is more like Sancerre that New Zealand – but then Blue Mountain has always taken its inspiration from the Old World. This is crisp and herbal on the nose and on the palate, with citrus and mineral flavours. Half of this wine was fermented with natural yeast; about a third was fermented in older barrels, primarily to enhance the texture. 90. Blue Mountain Pinot Blanc 2011 ($17.90). This is another July release. Again, a portion was fermented with wild yeast and in older barrels, but just for texture. The fruit aromas and flavours here – lots of green apple – are crisp, clean and brightly focused, with a lingering finish. This is a great seafood wine. 91. Blue Mountain Reserve Pinot Gris 2009 ($25.90). The winery’s reserve wines also are referred to as Stripe Label because there are light stripes on the label. This wine is made with grapes from vines that were 22 years old in 2009. Forty per cent was fermented and aged eight months in a combination of new and older French oak barrels, with the rest done in stainless steel. The fruit aromas and flavours are rich – tangerine and pear come to mind – and the oak is very subtle. The style recalls the elegance of good Alsace Pinot Gris. 92. Blue Mountain Reserve Chardonnay 2009 ($25.90). This wine was made with grapes from vines that were 20 years old in 2009. About 55% was fermented and aged eight months in a combination of new and older French barrels. Only 15% of the wine went through malolactic fermentation, just enough to add a buttery note to citrus aromas and flavours. The understated use of oak and the moderate alcohol (13.5%) add up to a Chardonnay that is fresh and lively on the palate. 93. 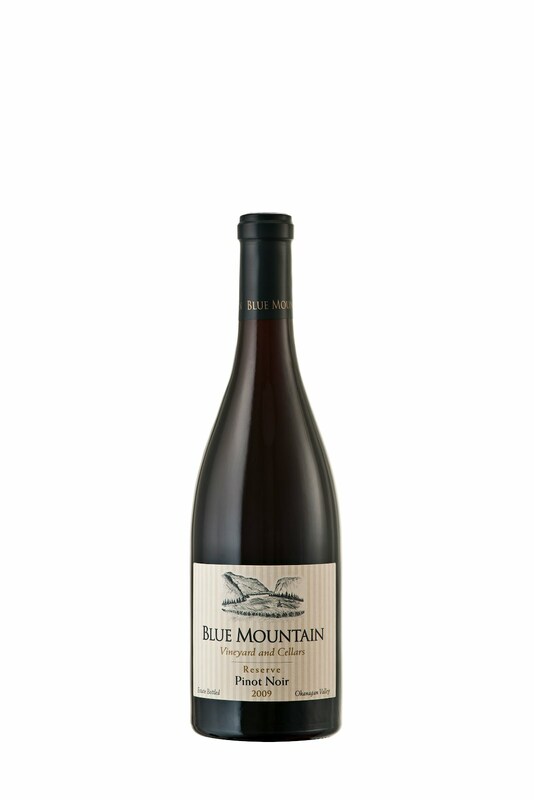 Blue Mountain Pinot Noir 2010 ($25). Released in March, this is the winery’s regular, or Cream Label, Pinot Noir. Dark in colour, it begins with an appealing aroma of strawberry, raspberry and cherry. The fruit flavours, mostly cherry, are terrifically vibrant. The texture is firm out of the bottle but with breathing or decanting, this begins to show the silky, fleshy texture of Pinot Noir. 91. Blue Mountain Reserve Pinot Noir 2009 ($35.90). There are four clones of Pinot Noir from vines 12 to 25 years in this wine. Half of this wine was fermented with natural yeast. The wine spent 10 months in French oak before being bottled, adding texture without much flavour of the wood. The fruit flavours – strawberry and cherry and spice – are too lovely to put them behind wood. This is a cerebral Pinot Noir of considerable elegance. 92. The terminology, like the labels, is just different at Blasted Church Vineyards. What other wineries might call “estate” or “regular” wines is the “Storytelling series” at Blasted Church. The reason is simple: each label tells a story. The reserve tier wines are released as the Revered Series. The stories began to be created in 2002 when Chris and Evelyn Campbell bought a two-year-old winery near Okanagan Falls that was then called Prpich Hills (after the founder’s surname). They asked Vancouver marketer Bernie Hadley-Beauregard to rebrand the winery with a new name and labels. He built an identity for the winery around the story of the so-called Blasted Church in Okanagan Falls. The church had been moved there in 1929 from Fairfield, a mining ghost town near modern-day Oliver. It got its nickname because the moving crew, under a foreman called Harley Hatfield, used a dynamite charge to loosen nails in the building’s heavy beams – knocking off the steeple but not destroying the building. Blasted Church (the winery) has been mining Hatfield lore ever since; perhaps even inventing some of the stories recounted by the caricature figures on the labels. Over the years, the preacher has emerged as the star of most labels. These are effective labels that attract attention and spark conversation. However, it is the wine in the bottles that brings the repeat consumers. Here are notes on the winery’s current releases. Blasted Church Sauvignon Blanc 2011 ($18.99 for a production of 600 cases). The figures on this label look like a pair of miners from the days when Fairview was a boom town. The wine, made with estate-grown grapes along with some purchased fruit, is crisp and dry. It begins with aromas of herbs and citrus. On the palate, the clean and focused flavours show notes of lime, minerals and grapefruit rind. 89. 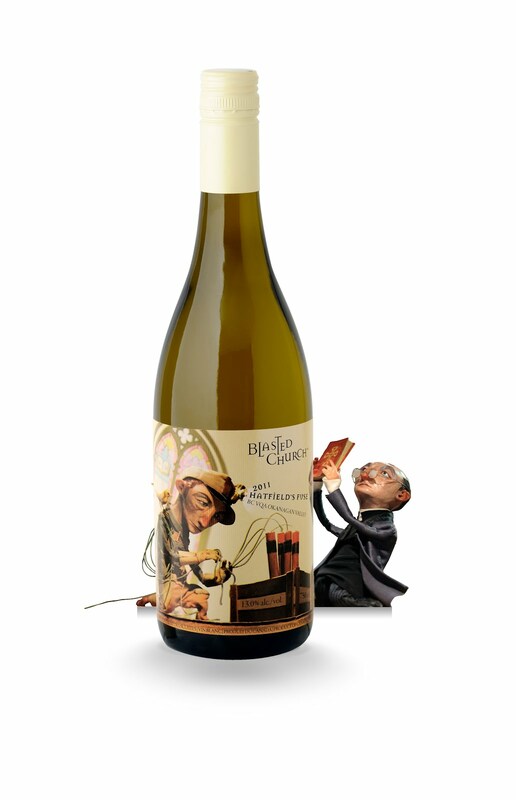 Blasted Church Pinot Gris 2011 ($19.99 for 3,500 cases). The preacher makes an appearance on this label, conducting his choir. It seems apt for a wine with a veritable chorus of aromas and flavours – pear, apple, citrus and spice on the finish. The wine has good weight and a lingering finish. 90. 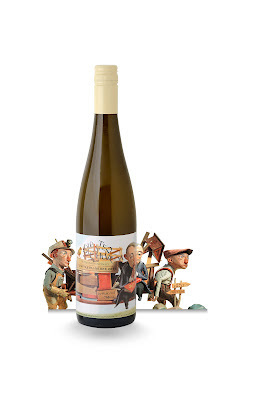 Blasted Church Gewürztraminer 2011 ($16.99 for 1,500 cases). Here, a disconsolate preacher is seated on a bench of the dismantled church. He could use a glass of this wine to cheer him up. It begins with appealing aromas of spice and herbs and shows zesty, spicy grapefruit flavours. The finish is dry and the alcohol is a moderate 12.5%. 90. Blasted Church Hatfield’s Fuse 2011 ($17.99 for 11,361 cases). The preacher raises his bible while Harley Hatfield primes the fuse. Winemaker Mark Wendenburg has put together an exuberant fruit basket, blending no less than nine white varieties: Chardonnay, Viognier, Pinot Gris, Pinot Blanc, Gewürztraminer, Sauvignon Blanc, Riesling, Optima and Ehrenfelser. On the nose and the palate, you get peaches, pears, apples, limes and apricots, balanced to finish dry but with just enough residual sugar to give the wine some flesh. 90. Blasted Church Mixed Blessings 2011 ($17.99 for 400 cases). The preacher officiates at a wedding of a black man and a white woman. The wine is a blend of 80% Viognier and 20% Chardonnay Musqué; both are white varieties but the Viognier is one of those rare white varieties with a little tannin. Perhaps that inspired the label? The Viognier gives the wine flavours of stone fruit and pineapple while the Chardonnay contributes appealingly perfumed aromas. 90. 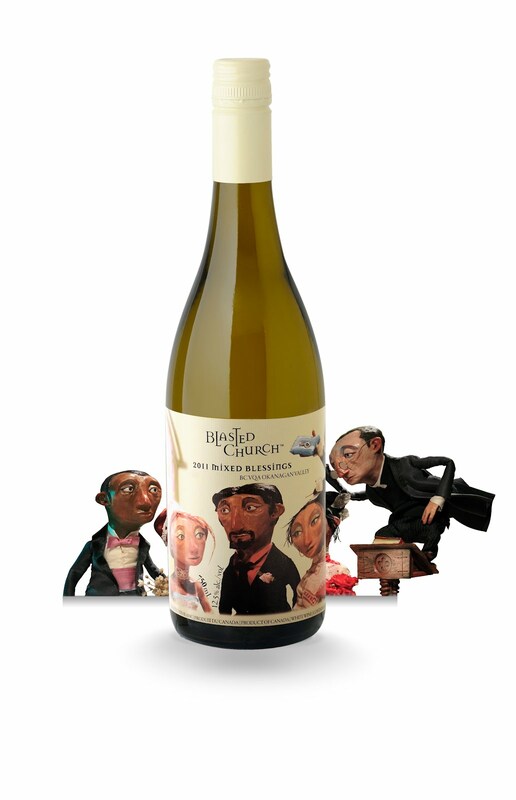 Blasted Church Unorthodox Chardonnay 2011 ($17.99 for 600 cases). This label recalls Michelangelo’s famed Creation of Adam on the ceiling of the Sistine Chapel in the Vatican, where God extends his finger toward Adam. The Blasted Church take has God (one assumes) extending a finger toward a tumbling preacher. 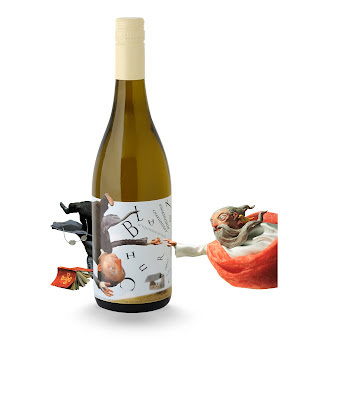 I am not sure what that has to do with this wine; perhaps that this is an unoaked Chardonnay, with all the aromas and flavours as naked as Adam in Michelangelo’s painting. Never mind the speculation. This may be the best unoaked Chardonnay in the Okanagan this year, beginning with aromas of spice and citrus and delivering citrus and apple flavours that seem almost sweet, although the wine is balanced to dryness. The wine is marvellously pure and focussed. 92. 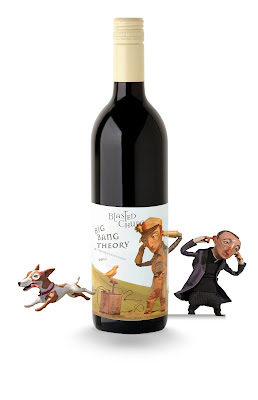 Blasted Church Big Bang Theory 2010 ($18.99 for 1,500 cases). Harley’s explosion is about to happen, a precursor to the explosion of flavour in this wine. This red is another complex blend: Pinot Noir (42%), Merlot (32%), Lemberger (8%), Cabernet Franc (3%), Malbec (7%) and Syrah (2%). This is a juicy, medium-bodied red with flavours of black cherry and blackberry, along with a hint of strawberry. 88.